Due to its adaptability, the raccoon has been able to use urban areas as a habitat. If a raccoon has invaded your habitat, call Trapper J now for raccoon removal services The first sightings were recorded in a suburb of Cincinnati in the 1920s. Since the 1950s, raccoons have been present in metropolitan areas like Washington, DC, Chicago, and Toronto. Home range sizes of urban raccoons are only 7.5 to 100 acres for females and 20 to 200 acres for males. In small towns and suburbs, many raccoons sleep in a nearby forest after foraging in the settlement area. Fruit and insects in gardens and leftovers in municipal waste are easily available food sources. Furthermore, a large number of additional sleeping areas exist in these areas, such as hollows in old garden trees, cottages, garages, abandoned houses, and attics. 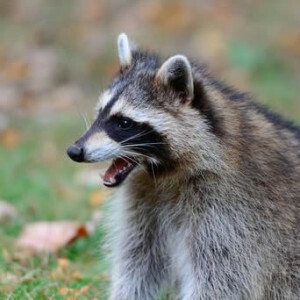 The increasing number of raccoons in urban areas has resulted in diverse reactions in humans, ranging from outrage at their presence to deliberate feeding. Some wildlife experts and most public authorities caution against feeding wild animals because they might become increasingly obtrusive and dependent on humans as a food source. Raccoons without a fear of humans are a concern to those who attribute this trait to rabies, but scientists point out this behavior is much more likely to be a behavioral adjustment to living in habitats with regular contact to humans for many generations. Raccoons usually do not prey on domestic cats and dogs, but individual cases of killings have been reported. if you suspect a raccoon is rabid , call for raccoon removal now. While overturned waste containers and raided fruit trees are just a nuisance to homeowners, it can cost several thousand dollars to repair damage caused by the use of attic space as dens. Relocating or killing raccoons without a permit is forbidden in many urban areas on grounds of animal welfare. These methods usually only solve problems with particularly wild or aggressive individuals, since adequate dens are either known to several raccoons or will quickly be rediscovered. Loud noises, flashing lights and unpleasant odors have proven particularly effective in driving away a mother and her kits before they would normally leave the nesting place, when the kits are about eight weeks old. Typically, though, only precautionary measures to restrict access to food waste and den sites are effective in the long term. Among all fruits and crops cultivated in agricultural areas, sweet corn in its milk stage is particularly popular among raccoons. In a two-year study by Purdue University researchers, published in 2004, raccoons were responsible for 87% of the damage to corn plants. Like other predators, raccoons searching for food can break into poultry houses to feed on chickens, ducks, their eggs, or feed, requiring raccoon removal. Since raccoons in high mortality areas have a higher rate of reproduction, extensive hunting may not solve problems with raccoon populations. Older males also claim larger home ranges than younger ones, resulting in a lower population density. The costs of large-scale measures to eradicate raccoons from a given area are usually many times higher than the costs of the damage done by the raccoons. What areas do we provide our Louisiana Raccoon removal service? Trapper J, a North Louisiana Nuisance Raccoon Removal specialist is the most professional and humane nuisance wildlife control service available in Monroe, West Monroe, Ruston, Bastrop, Alexandria, and Pineville in the North and Central Louisiana area.